What Is There to Learn From a School Readiness Round-Up? It won’t be long and your child will be moving up our School Readiness Pathway and heading to a new classroom. We want to ensure this transition is a win-win for your child and for you. Transitions can be stressful, so the sooner we begin thinking about the transition, the easier it will be on everyone. One way to help your child and your family have a successful transition into the next school year is to attend a Round-Up event. Our Round-Ups help parents and children understand what’s to come and ultimately make a smooth transition into the new school year. This is a great opportunity to connect with your child’s teachers, as well as the school director/assistant director, and to strengthen those relationships. Ask how you can get involved or how to support the classroom and your child’s learning. 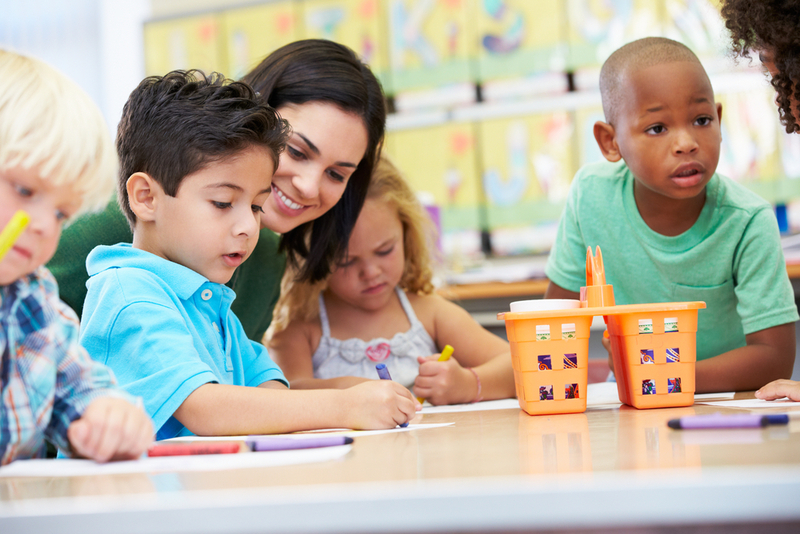 During the Round-Up, your child spends time with other children while you learn about the curriculum and skills to work on at home to prepare for the following school year. When meeting with your child’s future teacher, you’ll have the opportunity to learn more about their background and education. Be sure to come with your questions! This is an excellent chance to learn what you want to know about the teacher, classroom, and curriculum. Ask how the teacher will track your child’s development. Share any concerns you may have about your child. Does your child have specific needs such as napping or socializing? Is this classroom a good fit for your child? Can you see your child thriving here? Will the classroom keep your child engaged? No one knows your child as well as you do, so if you can picture your child comfortable in this setting, than you’ll be comfortable too! All this information will help you and your child know what to expect as you prepare for the next school year. Finally, be sure to ask how you can contact the teacher in the future with any questions or concerns.